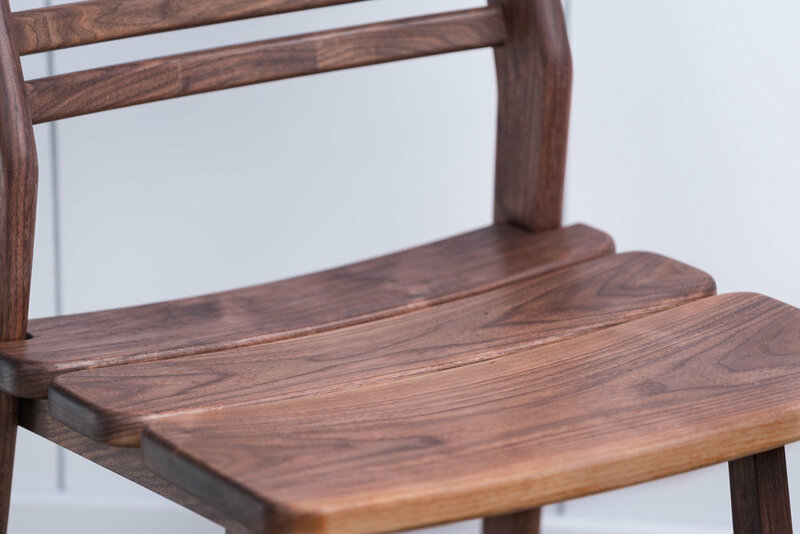 The Yeats chair is handmade in our workshop where the timber is machined with subtle curves to expose the unique grain and to provide a comfortable and tactile piece of furniture. American Walnut, Ash, Black Stained Ash. Hard wearing wax oil finish.